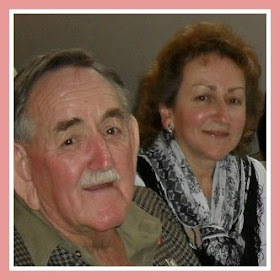 Carussell Crafts: AWH Team - February Blog Hop - Sale-A-Bration! AWH Team - February Blog Hop - Sale-A-Bration! Tonight the Art with Heart team are sharing creative projects using products from the Sale-A-Bration brochure. For every $90 (AUD) you spend before postage, you can choose FREE products from the brochure. If you spend $180, you get one free level 2 product, OR, you can choose two level 1 items. If you spend $270, you have the option to choose three level 1 items or one level 1 item and one level 2 items. Sale-A-Bration is also a great time to join our fabulous team - just ask any of the girls on the hop! For my SAB project, I decided that I wanted to use the Heartfelt Blooms stamp set. This was the first time I inked it up, and I am really loving the image. On my card above, I have stamped it onto Melon Mambo cardstock in Crumb Cake ink and cut out with a stitched shape circle framelit. I've mounted this onto a piece of the Wood Textures DSP and popped this onto Night of Navy embossed with the Simple Stripes TIEF layered onto Melon Mambo and then attached to a Crumb Cake card base. Also from the SAB brochure is the Party Pandas stamp set, this has proven to be a popular set as well. From this set I used the Happy Birthday sentiment and stamped it onto another piece of the Wood Textures DSP in Night of Navy, then I punched it out with the Classic Label punch. To flag the ends of the punched piece, you just re-insert each end into the punch a little way and cut off the ends. Other embellishments are our Enamel Shapes, Rhinestones and Gingham Ribbon. I stamped the flower image again onto a piece of photocopy paper in Crumb Cake for the insert. I am thinking a little piece of yummy homemade fudge would fit perfectly inside! What a sweet little gift! Thank you for joining us on our hop tonight, just use the "next blog" button below to continue hopping around. If you're already hopping, you may have come to me from Catherine Proctor's blog, but hops are full circles, so you can start hopping here and at the end of each blog post there is a link to the next one. Now it's time to hop on over to our next participant, the very talented Rachel Palmieri. If you do find any broken links, below is a list of tonight's hop participants. I love your card and gift box. The colour combination is fantastic. Lovely projects, Caroline. I especially love the colours teamed with the Wood Textures DSP! 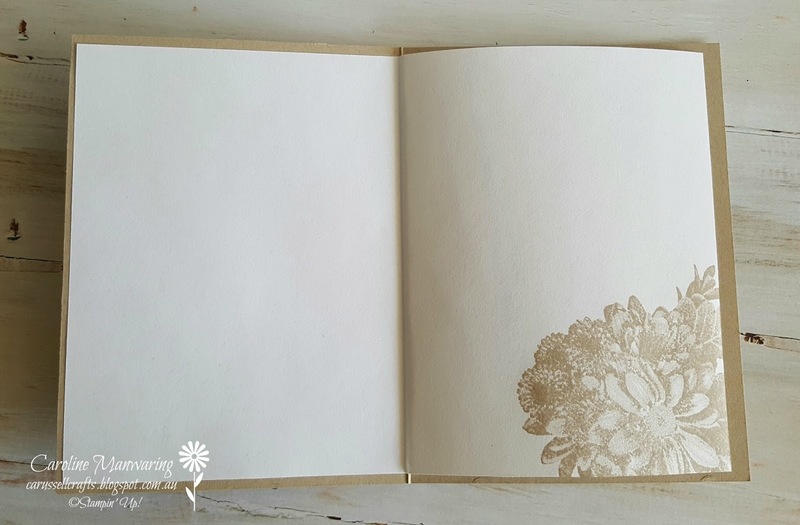 The heartfelt blooms image looks great with the wood texture paper. 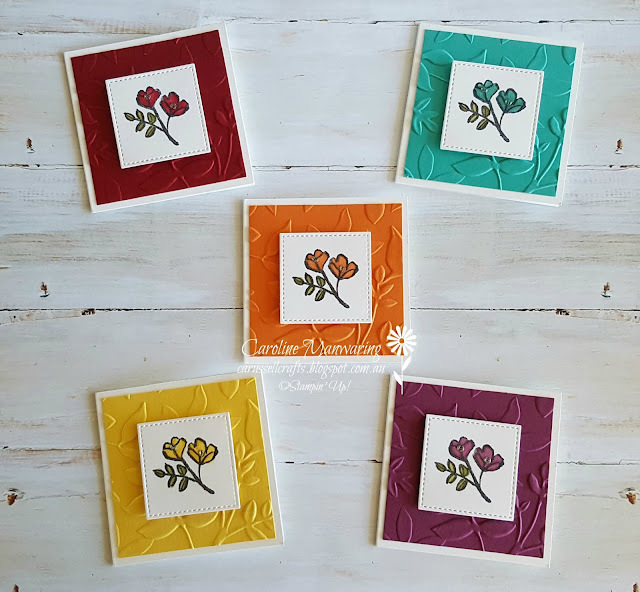 Really lovely projects Caroline, and i love the subtle way you've used the Heartfelt blooms stamp. Beautiful projects Caroline. 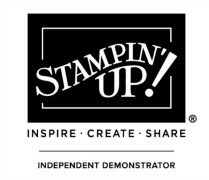 I love the subtleness of the stamping and your matching gift box is fabulous (but now I am craving fudge!). Thanks for playing along in the Art with Heart Team monthly blog hop. Lovely card and box, I think the homemade fudge would fit perfect too! It is a lovely stamp isn't it! Love your colour choice and the wood grain dsp is perfect with it too! 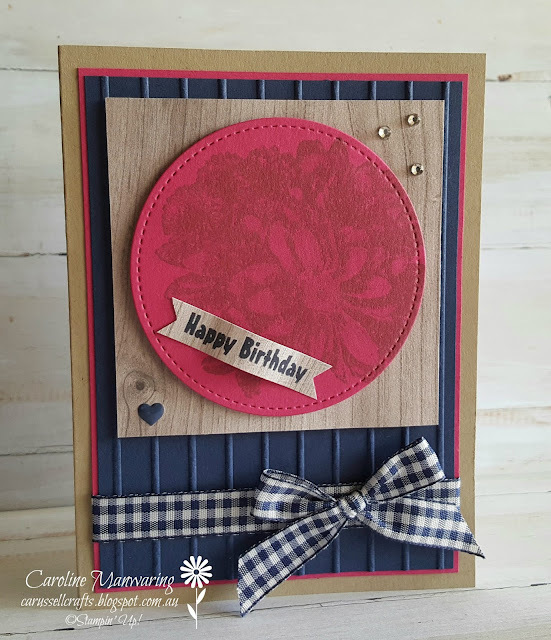 Great colour combo, and I really like that the card and box have a rustic look. Lovely projects, Caroline! These are so pretty, and they take me back to childhood days on the farm. Gingham and wood grain are such a classic county combo. Great colour combo, Caroline for your lovely projects.